Many Android Phone users still don’t believe that Etisalat BIS work very well on Android phones. Are you that type of person that love downloading movies like me, then am please to introduce one of the cheapest data i used on etisalat to download and stream movies online with my android device. With this Setup, I was able to tweak my Smartphone to work with Current Etisalat BIS. No much talk on evening service…lol.. Lets me go straight to the point before Etisalat will block it. 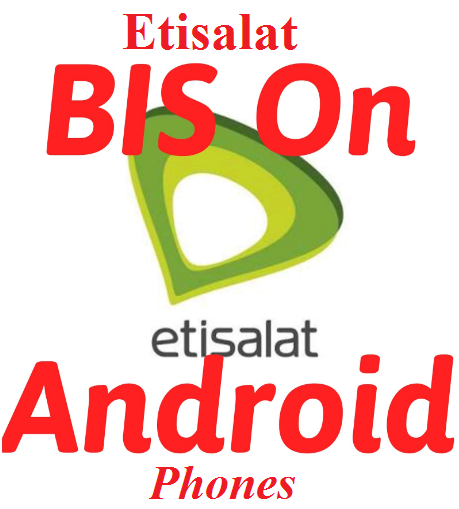 Note: After subscribing to this Etisalat BIS, you will be given 6GB data limit, which is usage daily, weekly or monthly. You should now be browsing and downloading unlimited. Tested and trusted so start using it until etisalat decides to stop it. Please Note: If the above settings stopped working for you, just follow this guide below. Then open Psiphon and change the Proxy Server to http://blackberryid.com. Force close your Psiphon app and restart again. If you can't subscribe for N70 daily plan, subscribe for the N100 daily plan and continue your download. It should work now. Related Posts: Android Tips, Etisalat Tips. Labels: Android Tips, Etisalat Tips.